When Your PC create voice like "Beep Beep"
Whenever you switch on your Computer and Then suddenly Your computer Create a vice like "Beep Beep" and make a confusion.you think that may be your motherboard faults and maybe processor does not work properly.So in this article i will tell you a Tips for solving your problem. When when Switch on your computer and after some time your listen some voice like beep beep.Then that voice make confusion in your mind.what happened with your computer and now what can you do,Sometimes We think our processor does not work and some time our motherboard is defaulted. 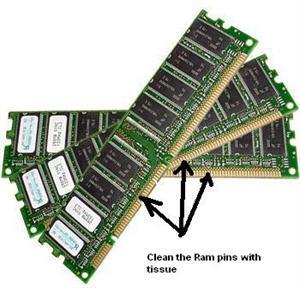 For resolving this problem I will tell you some tip to resolve your problem.first of all Remove All Ram's which are installed into your computer and clean their side with tissue and again installed then start your Computer and your problem will be solved and voice didn't come again. If you listen that voice again then follow some steps. First of all remove all Ram's from your system then insert Ram one by one.For example Inset first Ram and Switch on your computer If Computer work properly then switch off and Install second Slot Ram and Then Switch on your computer and Its work properly then switch off and install next Ram.If you install 3rd Ram and switch on your computer and listen Beep voice its means your 3rd is faults and did not work properly and so your system creating Warning voice So Remove or Replace that Ram.Your problem will be solve.